This afternoon (Monday February 19) at Derby College, the Prime Minister formally launched the long-awaited ‘major review’ into post-18 funding and education. First announced in the Conservative Party Manifesto ahead of the General Election in May last year, disagreements over the scale and scope of the review are said to have led to the side-lining of the former Universities Minister Jo Johnson and his replacement with Sam Gyimah. The review is ‘government-led’, which means the Government set the terms of reference and has the final say on the contents of the report. However, it will be ‘informed by’ a panel of independent members, chaired by Philip Augar, a former non-executive director of the Department for Education. Bev Robinson – Principal of Blackpool and the Fylde College. Edward Peck – Vice-Chancellor of Nottingham Trent University. Alison Wolf – cross-bench peer in the House of Lords, and author of the influential Wolf Review of Vocational Education in 2011. Sir Ivor Martin Crewe – Master of University College, Oxford and president of the Academy of Social Sciences. Former chair of the 1994 Group and president of Universities UK. Jacqueline De Rojas – President of techUK and the chair of the digital leaders board. The review is expected to take a year, with an interim report due later this year and final recommendations in early 2019. Choice: identifying ways to help people make more effective choices between the different options available after 18, as well as ensuring they have access to a genuine range of high quality academic, technical or vocational routes. The terms of reference explicitly rule out free tuition or a cap on student numbers. There can be no change to the taxation system (so no graduate tax), and the review will not revise the pre-2012 fee system. Any recommendations must support the Government’s aim to reduce the deficit. The review is also committed to support the role of universities and colleges in delivering the Government’s objectives for science, R&D and the Industrial Strategy. A separate review has been launched to determine how best to extend technical education reforms to level 4 and 5, the findings of which will feed into this review. 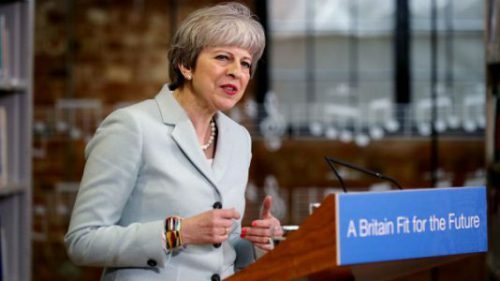 Theresa May used personal language and examples to emphasise social mobility, the benefits of technical and vocational qualifications and the importance of looking beyond universities to create competition and choice. Early briefings over the weekend focussed heavily on university tuition fees, setting out options for the Government to set different fees for different courses, based on the cost of running the course and the potential earning outcomes for graduates. Theresa May was clear in her speech that both students and the taxpayer should continue to make a contribution to fund higher education, but that the review would explore the level, terms and duration of the contributions. What will this mean for the University of Nottingham? “I am proud of the outstanding education the University of Nottingham provides to our 45,000 students across the world. As an institution, we are used to adapting and responding to factors beyond our immediate control. Regardless of the motivations and eventual outcomes of this review, we will actively engage with the process. “We will ensure the University of Nottingham’s voice is heard in the public debate surrounding these issues, and we aim to shape the development of a system that provides the UK with a fair and viable funding model for both academic and technical education. What will the University of Nottingham be doing? We are keen to involve our staff community as we shape our engagement with this review.